Irby is a place on the Humber River. It likely comes from the name Ivar (Ingvar). The descendents of Ingvar who invaded England with his brother Ubba, were long connected with the Danish coats of arms in England. Irby-on-Humber is situated within a short distance of Humberstone, where Danish leaders Ubba and Ingvar landed in the year 870 to begin their scourge and plunder of Lincolnshire. Humberstone (more recently spelled Humberston) is from the Old English Humbre+stone for "the boundary stone in the River Humber". In the 1086 Domesday Book, it is rendered in its original form as Humbrestone. Humberstone is both a village and parish southwest of Grimsby. The North Sea provides the eastern boundery. In the Anglo-Saxon period, the Humber River was a major boundary, separating Northumbria from the southern kingdoms. Indeed, the name Northumbria simply means the area North of the Humber. The River Humber was once known as the Abus, for example in Edmund Spenser's Faerie Queene. It is only 35 miles long. The Faerie Queene is an English epic poem by Edmund Spenser, published first in three books in 1590, as the allegorical presentation of virtues through Arthurian knights in the mythical "Faerieland." Ptolemy speaks of the River Abus. The original Aryan tribes referred to it as Arbhus; from this root likewise is derived the German Alb or Alp (plural Elbe or Elfen); English Elf with its plural Elves. Thus, the Humber river is the river of elves. In ancient folklore, every home in the Scottish lowlands and northern England has a magical elf called a ùruisg or brownie. Every manor house had its ùruisg, and in the kitchen, close by the fire was a seat, which was left unoccupied for him. As a cultural anthropologist, Anton is a scholar in medieval fairy folklore of the lowlands Scotland and northern England. Much of this folklore has roots in ancient Scandinavia. On September 8, 1069, Danish King Sven II Estridsson Ulfsson came with a large fleet on the Humber and with the support of the Lincolnshire people, overran much of Lincolnshire and Yorkshire. King Sven's uncle Canute the Great once ruled England. King Sven II joined forces with Anton's 26th Great Grandfather Edgar Ætheling, the last remaining heir of the Anglo-Saxon royal house, and sent a force to attack Anton's 28th Great Grandfather King William (The Conqueror) in 1069. In this area, on the south banks of the River Abus, where tradition claims there lives a kingdom of elves and fairies, is the real village of Irby. 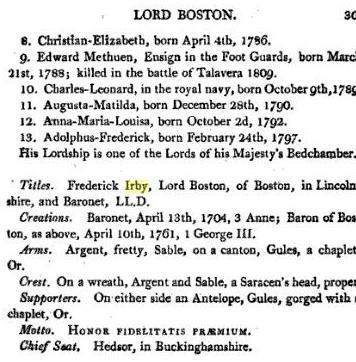 Anton is descended from the Lords of Irby, also called the Lords of Boston. Anton is the 14th Great Grandson of Anthony Irby (Or Anton Irby in Danish, since Irby is located inside formerly Danish lands). During the reign of Henry VIII, the Irby family was settled at Gosberton, Lincolnshire. 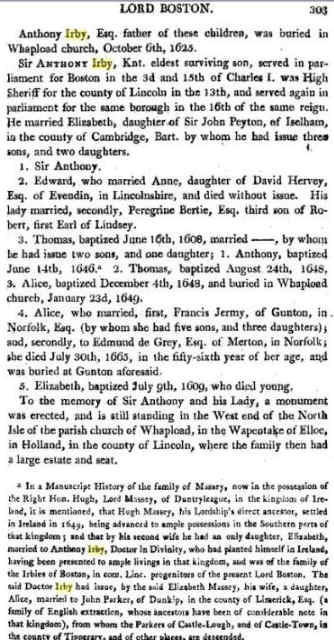 Anthony Irby of Gosberton married Alice Bunting, they had five daughters and seven sons. 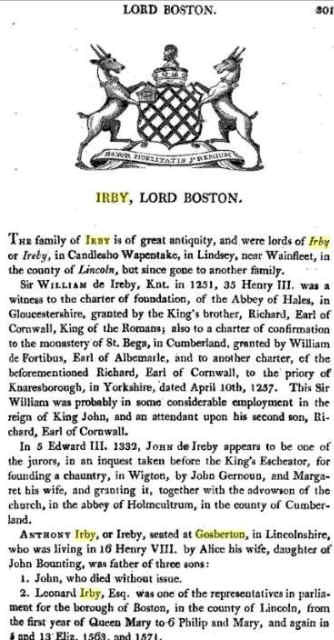 He died in 1552 and his fourth son, Thomas Irby, inherited the estate. His heir was Anthony Irby, an eminent lawyer who became MP (Member of Parliament) for Boston in the reigns of Elizabeth I and James I. He died 1625. His heir, also Sir Anthony Irby, and an MP and High Sheriff of the county of Lincoln in the reign of Charles I, died in 1632. 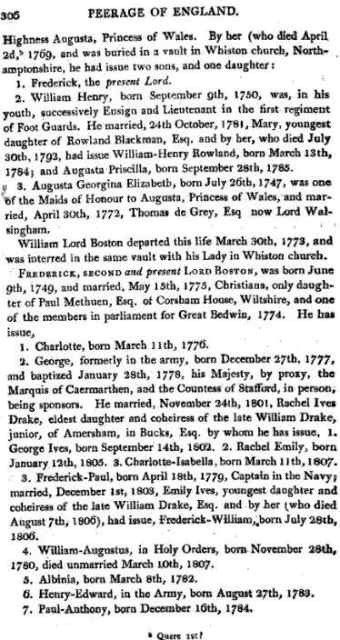 He was succeeded by his son, also Anthony who married four times, without children until the fourth marriage, to Catherine, daughter of William, 5th Baron Paget, which resulted in a son and five daughters. 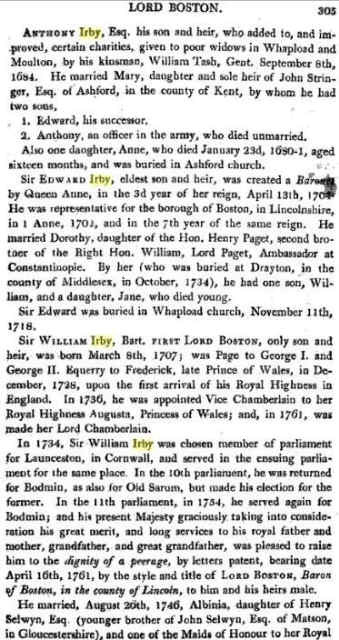 His son, Anthony Irby, succeeded him in 1670. The descendants of the Lords of Irby, by the waters of the Abus with all their mysical and rich folklore, comprise too many Antons/Anthonys to count now. 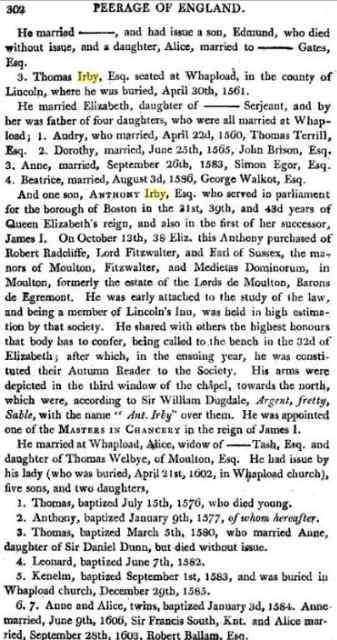 Occasionally, Anton identifies as Anton XIV (the fourteenth) meaning the fourteenth great grandson of the original Anton (Anthony) of Irby. 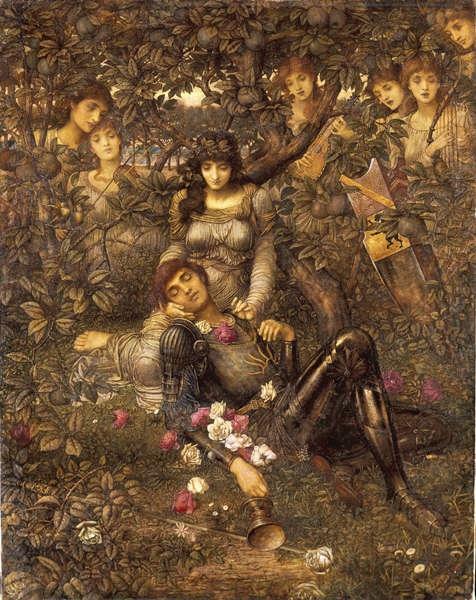 The subject for this painting is taken from the English epic poem The Faerie Queene, the greatest work of Edmund Spenser dating from the end of the 16th century. The femme fatale or enchantress Acrasia is shown in the Bower of Bliss surrounded by handmaidens with a knight at her mercy.